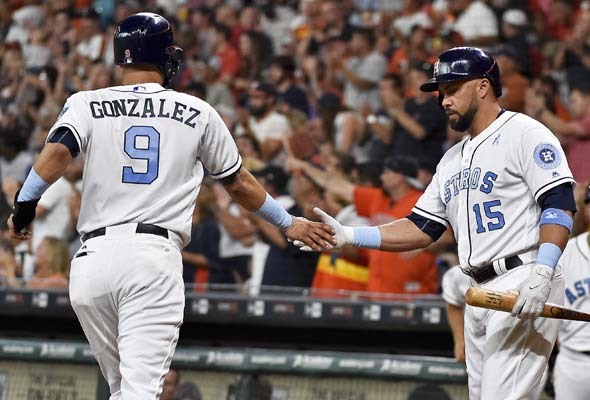 HOUSTON -- Jose Altuve and Carlos Beltran gave the Houston Astros a jolt on Saturday night. For the Boston Red Sox, Rick Porcello's performance has been pretty shocking, too. 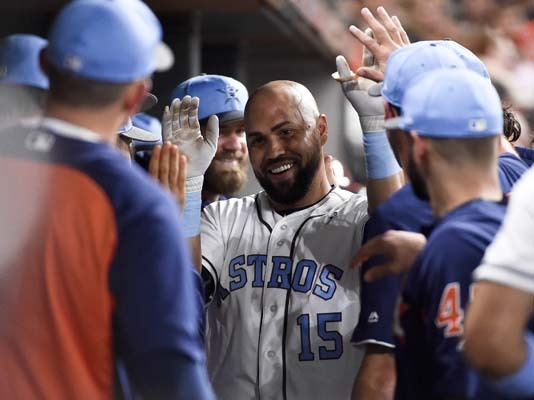 Altuve hit a solo homer, Beltran had a two-run shot and three RBIs, and the Astros beat the Red Sox 7-1. 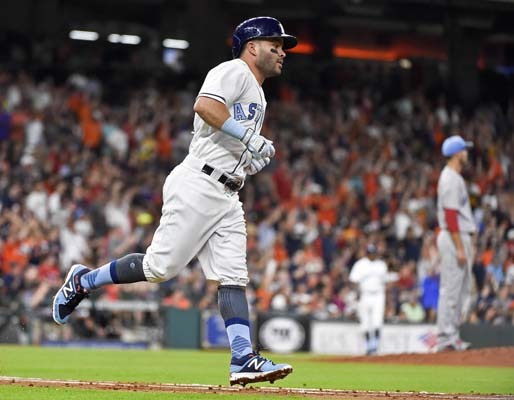 Altuve led off the third with his homer off the train tracks above the left-center field facade, and Beltran followed three batters later with his ninth of the season to put Houston ahead 6-0. "We swung the bat very well," Houston manager A.J. Hinch said. "Both innings where we had the three-run innings, we put a lot of at-bats together." Houston jumped on last year's AL Cy Young Award winner Porcello (3-9) for three runs in the first. Altuve had an RBI double, and Brian McCann and Beltran followed with sacrifice flies. "He's a guy that has a good sinker," Beltran said of Porcello. "Facing him last year, the year he won the Cy Young, his sinker was amazing. It's not that it's not amazing. It's just that location is what makes his sinker his sinker. Today, we got good pitches in the middle of the plate." Porcello gave up seven runs and 10 hits in six innings. "I don't think it's the fastballs up, it's everything," Porcello said. "Guys are very comfortable with everything they are seeing and driving the ball off me right now. I got to make it back to making them uncomfortable." Porcello lost his fourth straight - his second four-game losing streak this season - and has allowed five or more runs in three straight outings. 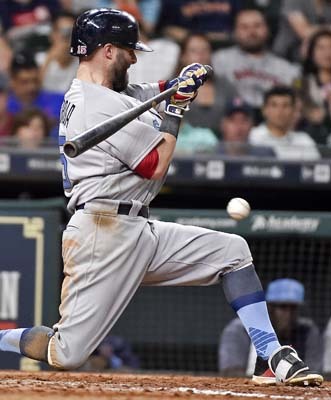 "The difference once again is elevation in the strike zone," Boston manager John Farrell said. "It wasn't pitched tight. 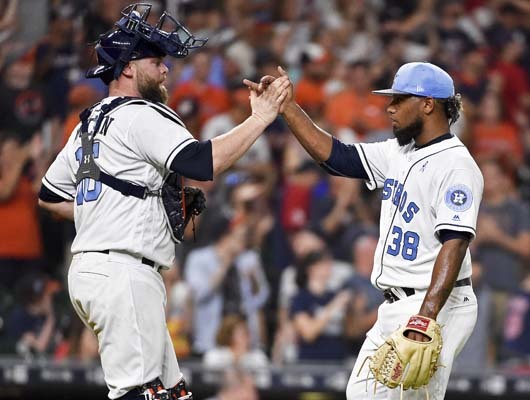 Anytime he made a mistake up in the strike zone whether it was a breaking ball to Altuve to a fastball that didn't stay in or down to Beltran, those are pitches that seemingly come back to haunt him." Yuli Gurriel scored on Norichika Aoki's double play in the sixth to give the Astros a 7-1 lead. David Paulino (1-0) allowed one run and three hits with four strikeouts in six innings for his first career win. Houston has allowed two runs or less in each of the last three games. "That was a great performance," Hinch said. "And I loved his demeanor; he was calm the whole day. He was focused, he was getting them to mishit some balls. He stayed very calm in his approach." Paulino said through a translator locating his fastball and curveball was the key to the win. 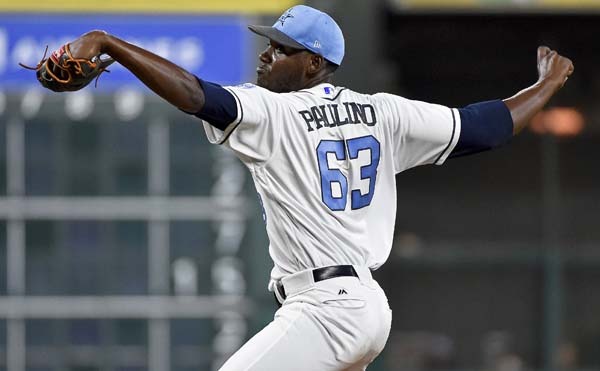 "My curveball was the best pitch even when I wasn't throwing it for strikes, I think that was working today," Paulino said. 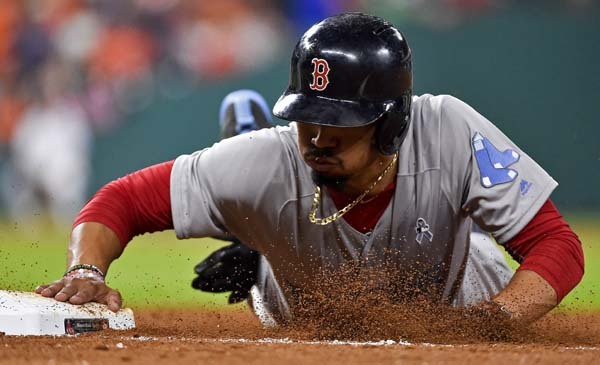 Chris Young led off the fifth with a solo home run for Boston. Altuve's home run was his tenth this season, marking his third consecutive double-digit home run season. 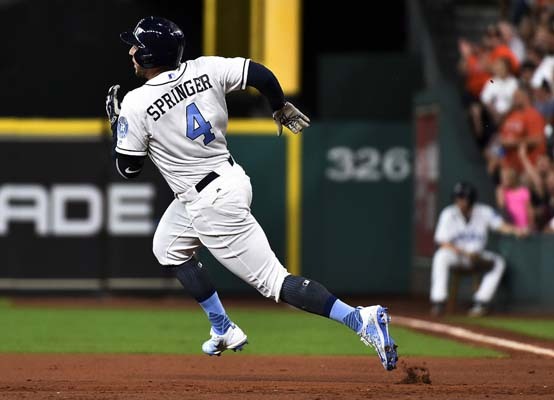 He joins Craig Biggio as the only second basemen in Astros' history to record at least three double-digit home run seasons. ... Beltran's home run was the 430th of his career, placing him one shy of Cal Ripken Jr. for the 48th most in MLB history. Red Sox: 1B Hanley Ramirez was out of the lineup for a second straight day with a spasm in his neck. ... RHP Tyler Thornburg had successful surgery to treat thoracic outlet syndrome in his right shoulder Friday and is expected to return in 2018, Boston announced Saturday. Astros: RHP Lance McCullers (lower back discomfort) played catch Saturday and could start on Houston's upcoming road trip. "There's still some things he needs to do in order to satisfy everyone that he's ready to start, but certainly the initial goal would for him to start on the road trip," Hinch said. ... RHP Charlie Morton (right lat strain) will go with the team on the upcoming road trip and could go on a rehab assignment. Red Sox: LHP David Price (1-1) will try to build on his last outing when he allowed three runs in six innings when he starts the finale of the three-game series Sunday night. Astros: RHP Joe Musgrove (4-5) will start for the 12th time this season and second since coming off the DL on Monday when he starts Sunday. Musgrove will be looking to even his record after taking the loss in his last start, allowing two runs in 4 2/3 innings against Texas.